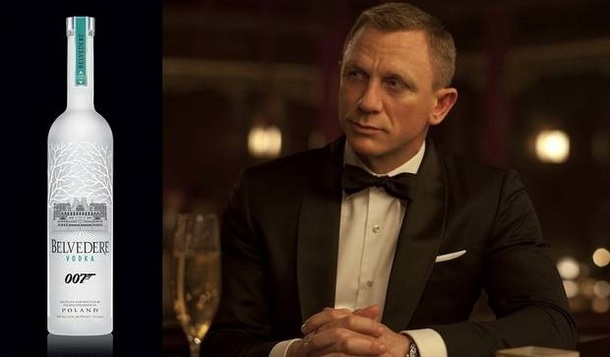 Belvedere, the worlds original luxury vodka has confirmed a collaboration with Albert R. Broccolis EON Productions, Metro-Goldwyn-Mayer Studios, and Sony Pictures Entertainment to promote the highly anticipated 24th instalment of the James Bond series, due for global release on November 6th, 2015. Belvedere will release two custom made and limited editions to celebrate Bonds vodka martini Shaken not Stirred and its partnership with the 24th Bond adventure. In an unprecedented move, Belvedere has replaced the iconic Belvedere Palace with the famous MI6 headquarters. Belvederes signature blue palette will be switched for a distinctive green, mirroring the secret spy agencys ink of choice, creating a truly memorable collectors edition of 100 bottles.